The New York Giants franchise changed forever on Oct. 10, 1976 when Giants Stadium opened. Even though Big Blue lost to the Dallas Cowboys, 24-14, a new era had officially begun. As Giants Stadium faded away in favor of a new home, the G-Men had many great players put on their uniform. Let’s take a look at one position group, the wide receivers, and see who made the cut as the best of the best. With the exception of one, all five players on this list have one thing in common. Do you know what that is? Want your voice heard? Join the GMEN HQ team! Because of the windy conditions at the Meadowlands, the New York Giants typically have not over-relied upon the pass. In fact, one could say that Big Blue is usually a run-first team. But the new NFL requires a potent aerial attack, so new names could begin to populate this list. Earnest Gray (1979-84): Gray was a star on teams that had little star power. He caught 243 passes for the G-Men and had 10 touchdown receptions in 1980. In 1983, he had 78 catches for 1,139 receiving yards, by far his best with Big Blue. Ike Hilliard (1997-2004): Hilliard was the seventh overall pick in the 1997 NFL draft, but a series of neck injuries stymied his career. He played only two games his rookie season because of neck surgery. Overall he caught 368 passes for the G-Men in eight season. His best year was 1999 when he grabbed 72 passes and had 996 receiving yards. You will be surprised to know that his 368 receptions are fifth on the team’s all-time list. Chris Calloway (1992-98): After being cut by the Pittsburgh Steelers, the Giants signed Calloway in 1992. Over the course of his seven-year career with Big Blue, Calloway increased his number of catches every season. Overall, he had 334 catches and 27 touchdowns with Big Blue. Rueben Randle did not make the list or honorable mention. At times, you may have thought that Hakeem Nicks would become the greatest New York Giants receiver of all-time. Nicks was taken 29th overall in 2009, essentially to replace Plaxico Burress. Paired with Victor Cruz in 2011, the duo led the Giants to victory in Super Bowl XLVI. A series of injuries sapped Nicks of his speed, so the championship season was his personal high-water mark with 79 catches. The 2012 NFC Championship Game was a remarkable achievement for the former North Carolina Tar Heel. Nicks had seven receptions for 165 receiving yards and two touchdowns against the Green Bay Packers on Jan. 15, 2012. His play declined precipitously in 2012 and 2013, when he had only three touchdown catches. But his 319 catches ranks him ninth on the Giants all-time list. For 3+ years, Plaxico Burress was a rarity. He was a free agent who actually lived up to the hype. Burress was an incredible force for the New York Giants with 244 catches in less than four seasons. 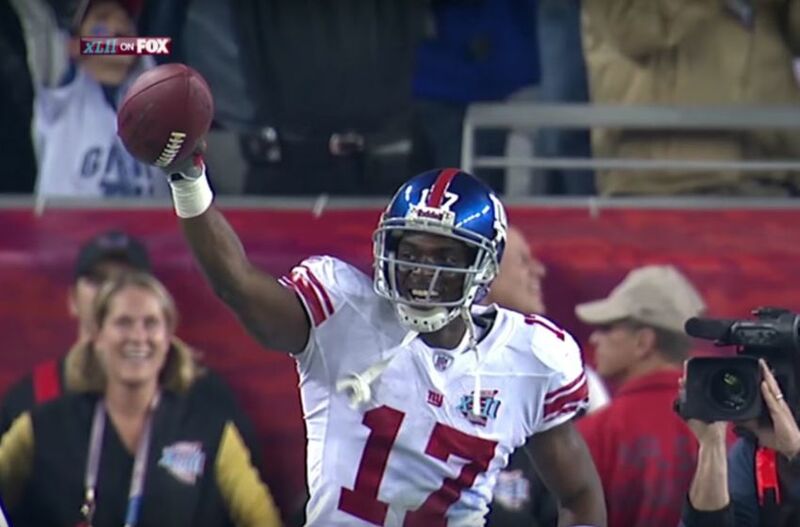 Who can forget Burress’ grab of the game-winning touchdown in Super Bowl XLII? The prospect of a Giants’ repeat in Super Bowl XLIII was very real, until Burress accidentally shot himself in the leg. After that, he never played another game for the New York Giants, and the repeat dream quickly went down the drain. In just 57 games for Big Blue, Burress had 33 touchdown catches. In a long line of “what could have been’s” at the receiver position for the New York Giants, Burress may top that list. The chemistry between Burress and Eli Manning was something to behold. Unfortunately, it was not a case of declining skills, New York had to go cold turkey. Regret is the only word that comes to mind when talking about Burress’ career. 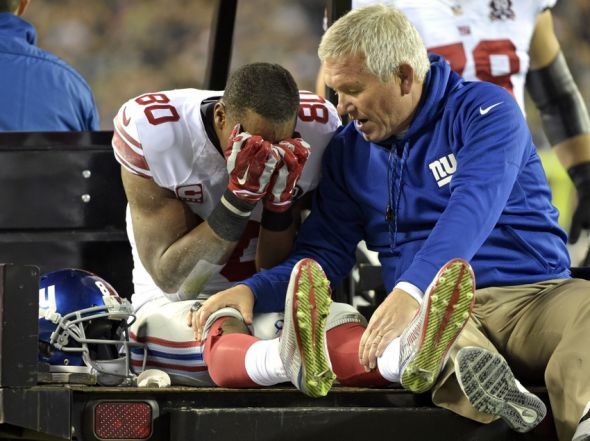 The biggest question this offseason for the New Yorks Giants revolves around Victor Cruz. Does the road end here for the hometown talent from Paterson? Cruz made a successful return from knee and calf injuries that cost him the better part of two seasons. Fortunately, he did not allow a potentially career-ending injury derail him. Cruz played in 15 of 16 games and had 39 catches. His biggest problem is the one touchdown grab in 2016. That simply won’t cut it. The rise and fall of Cruz highlights the problem of longevity at the wide receiver position. 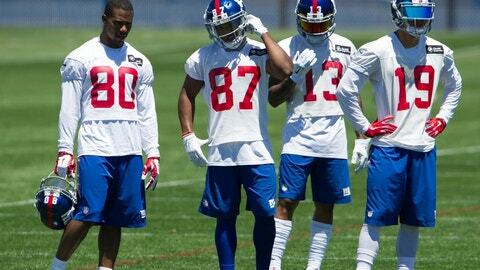 The G-Men have a long list of guys who for one reason or another could not sustain their production. Those names include Steve Smith and Rueben Randle, as well as guys on this list like Plaxico Burress and Hakeem Nicks. In 2011, Cruz had one of greatest individual seasons in Giants history. He had 1,536 receiving yards on 82 receptions with nine touchdowns. Chances are great that will be his greatest season. 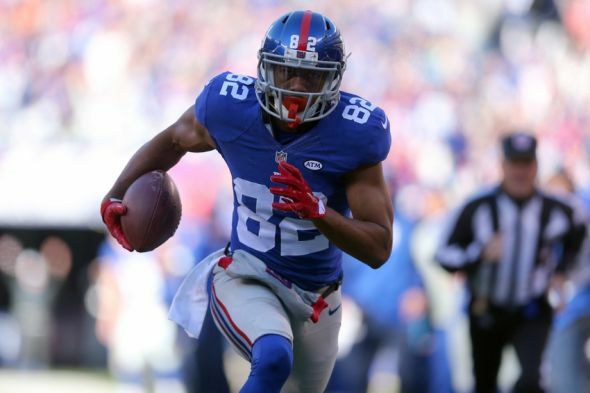 Right now, Cruz ranks 10th with 303 career receptions for Big Blue. Will he get any more? For those who think this spot is too low, fuhgettaboutit. To be on any all-time list after three season is amazing, just like Beckham. But after all, it also means he has played only three seasons. 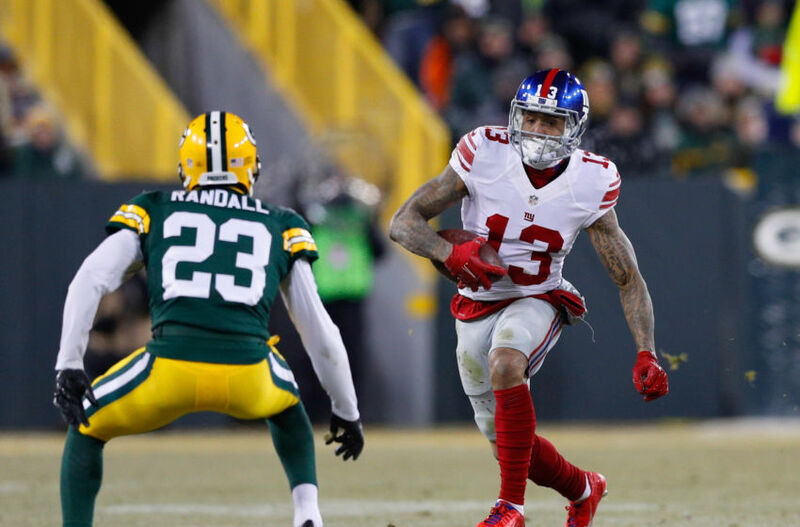 Think about it, if Beckham had missed the first four games of his rookie season, he may have passed Hakeem Nicks for ninth on the all-time list. With 288 grabs under his belt, OBJ averages 96 receptions per season. And his 35 touchdown catches ties him with Del Shofner on the all-time Giants list. Shofner played seven season in Yankee Stadium for the G-Men. Of the players that Beckham trails on the all-time touchdown reception list, only one is an actual receiver. Three of his compatriots are hybrid running back/receivers of the 1950’s and 1960’s. Those stars would be: Kyle Roye (48), Joe Morrison (47) and Frank Gifford (43). At his current pace, Beckham would become the Giants’ all-time receiving leader in seven seasons. He will pass the three hybrids in terms of touchdown catches as soon as next season. Pretty remarkable. 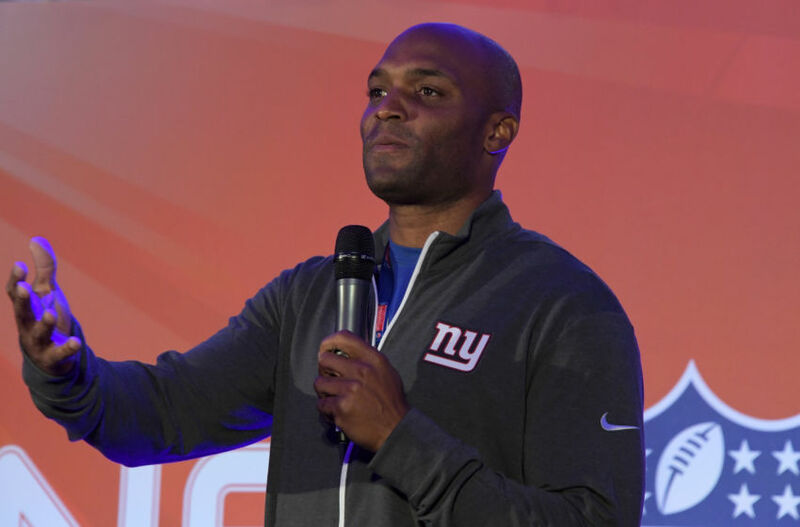 When Giants fans think of all-time greats, Amani Toomer does not roll off the tongue. Toomer remains a testament to what longevity can do. His 668 receptions came over a 13-year career with New York. By those numbers, he averaged a little more 50 catches per season. We’ve seen Beckham get that many catches in a four-pack of games. Toomer’s career spanned three Giants coaches, and he had two Super Bowl appearances. In a five-year span from 1999 to 2003, he averaged almost 1,150 receiving yards per season. During that same period, he averaged 75 catches per season. In perhaps his greatest game as a Giant, Toomer caught eight passes for 136 yards in the 2003 Wild Card contest between the Giants and San Francisco 49ers. In that game, Toomer had three touchdown catches, as Big Blue squandered a 38-14 lead. The G-Men lost 39-38 at 3com (Candlestick) Park. Must Read: New York Giants: Can Zay Jones Be The Answer On The Outside? The Giants should have had an opportunity win, but official blew a pass interference call on the game’s final play. Toomer was a big factor in the Giants Super Bowl XLII run, as he caught 21 passes and had three touchdowns in a four-game stretch. Fittingly, Toomer was cast onto the Giants initial “Ring of Honor” in 2010.